JM-ORIGIN Technosoft Private Limited has been in the Software industry serving the software solutions to the Globe. Registered on 2007, with its head office in Nagercoil, Tamil Nadu in India, We have satisfied more the 50+ customers from south Tamil Nadu. 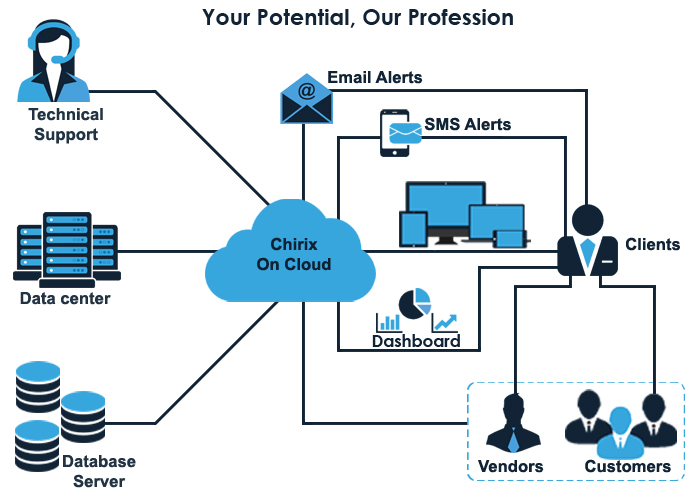 Operational efficiency of Chirix helps to cut costs, Enables quick market presence of the product, Improve customer relation and comply with regulations. JM-ORIGIN is a software products and services provider incorporated in India. JM-ORIGIN is a provider of Enterprise Resource Planning (ERP), Customer Relationship Management (CRM), Maintenance & Repair Overhaul Management (MRO), Logistics Management System (LMS), Warehouse Management System (WMS) and Human Resource Management (HRM). It is attempting to position the technology company in the global market to challenge established giants like SAP, Oracle and so on… with its cloud product, likely at the low end of the market. Process by which a company (Often a manufacturer) manages and integrates the important parts of its business. An ERP management information system integrates areas such as Planning, Purchasing, Inventory, Manufacturing, sales, marketing, Finance and Human Resources. Maintenance Repair Operations (MRO) deliver best-in-class quality for maximum reliability and defect-free installations that minimize rework and downtime. Superior product development and testing ensure Chirix products meet and exceed industry standards, enabling customers to achieve compliance with every-changing regulations. Controls the effective forward and reverse Logistics, Storage of Goods / Services related information between the Point of Origin and destination in order to meet customer requirements. A warehouse management system that supports the day-to-day operations in a warehouse. WMS programs enable centralized management of tasks such as tracking inventory levels and stock locations. WMS systems may be standalone applications. Human Resource Management (HRM) is the function within an organization that focuses on the recruitment and providing direction for the people who work in an organization to maximize employee performance in service of an employer's strategic objectives.